Note: Your Choice of Hi Multi Chiffon Cuffed Sleeves (See Through) or Denier Cuffed Sleeves (Not See Through). Note: This Leotard should be Hand Washed due to the Chiffon Sleeves / Do Not Use Bleach. Note: All of our Leotards have Snaps in the Bottom of the Leotard. Me gustaria recibrir catalogos en mi casa. me gustaria saber si hay otro catalogo nuevo. para mas informacion , q Dios me los siga BENDICIENDO!!!!!! P.D. TE QUIERO MUCHO SUSY.. UN BESOTE ..DIOS TE BENDIGA!!!!! 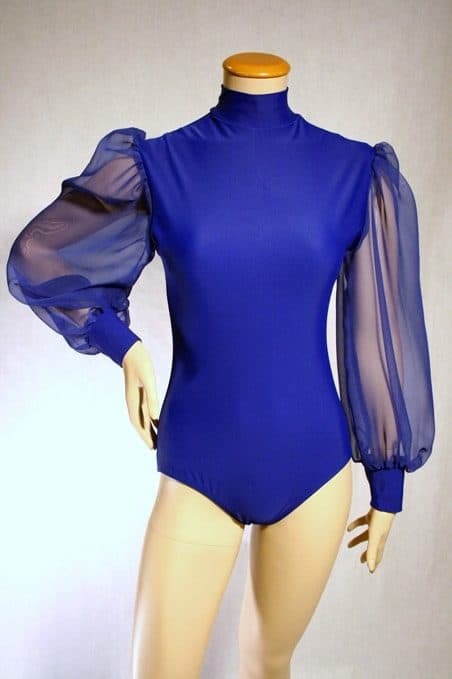 I ordered this leotard in white in the non transparent sleeves to wear under a tunic dress and it is absolutely stunning! It took a little while to receive the item but it was worth the wait. The leotard accented beautifully and complete the finish on my pallazzo’s & tunic dress perfectly. Thanks Rejoice dance ministry!